Blue silence : for solo flute (short version) / Elena Kats-Chernin. Flute vox / Laura Chislett flute, Stephanie McCallum piano, Thomas Jones violin. 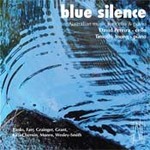 Blue silence : Australian music for cello and piano / David Pereira, Timothy Young. Blue silence : for cello and piano / Elena Kats-Chernin. Blue silence : for clarinet and piano / Elena Kats-Chernin. Blue silence : for flute and piano / Elena Kats-Chernin. Blue silence : for piano trio / Elena Kats-Chernin. 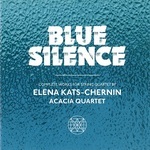 Blue silence : for clarinet quartet / Elena Kats-Chernin. Blue silence : for solo piano / Elena Kats-Chernin. 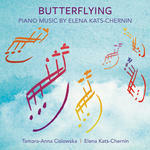 Blue silence : arranged for clarinet in B flat, cello and piano / Elena Kats-Chernin. Blue silence : for string quartet / Elena Kats-Chernin. 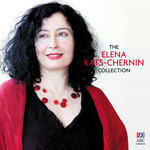 Elena Kats-Chernin plays Elena Kats-Chernin. Spellbound : a spellbinding collection of classical music. Various pieces, May 2007 / Elena Kats-Chernin. 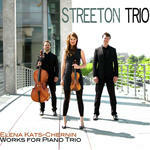 Works by Stephen Lalor, Lachlan Skipworth, Elena Kats-Chernin, Peter Sculthorpe. BLUE SILENCE was written for an exhibition in New South Wales, devoted to artists suffering schizophrenia, called "For Matthew and Others". It was commissioned by Joan Sutherland Performing Arts Centre and had its premiere in September 2006. At the base of the piece (which incidentally starts similarly to the way my piece ÂMythicÂ for orchestra 2004 ends) is a 4-chord progression, very simple and minimal. In February 2009 I was compelled to do one more arrangement of it for Rachel Scott, for clarinet, cello and piano. In this arrangement there is a lot of interplay and echo between the single line instruments, i.e. they are not playing a lot together, rather one after the other. 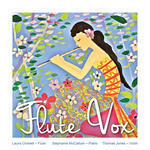 There are 2 versions: the longer version is on the Flute Vox CD. Unknown date: Four Winds Festival, Bermagui, NSW, 2006. Featuring Chris Latham, Veronique Serret, Katherine Philp, Anna Colville, William Barton. 6 Feb 2019: at Lilith Night - A celebration of women composers across contemporary music genres. (Beaumont House). Featuring Maryanne Piper, Gabriella Smart. 28 May 2018: at Have Clarinet, Will Travel (fortyfivedownstairs). Featuring Ed Ferris, Morna Hu. 19 Aug 2017: at Muscle Memory: Reflex (Brisbane Powerhouse). Featuring Collusion. 17 Aug 2017: at Muscle Memory: Reflex (Brisbane Powerhouse). Featuring Collusion. 18 Jun 2017: at Twilight Chamber Music at Rippon Lea (Rippon Lea Ballroom). Featuring Svetlana Bogosavljevic, Rohan Murray. 13 Mar 2016: at Muses Trio: Reclaiming the Spirit for International Women's Day (Gretel Farm). Featuring Muses Trio. 12 Mar 2016: at Muses Trio: Reclaiming the Spirit for International Women's Day (Caloundra Regional Art Gallery). Featuring Muses Trio. 11 Mar 2016: at Muses Trio: Reclaiming the Spirit for International Women's Day (St Mary's Kangaroo Point (Brisbane)). Featuring Muses Trio. 19 Sep 2014: at Bellingen Music Festival 2014 (Bellingen Memorial Hall). Featuring Acacia Quartet. 8 Mar 2014: at Women In Music with Muses Piano Trio (Eudlo Hall). Featuring Therese Milanovic, Louise King. 4 Aug 2013: at KPO Community Concert (Ravenswood Centenary Centre Auditorium). Featuring Martin Smith, Ying Ho. 3 Oct 2012: at Musica Botanica (Oddie Room, Art Gallery of Ballarat). Featuring Samantha Kelson Gray, Bronwyn Blaiklock. 8 Sep 2012: at Tyalgum Festival of Classical Music 2012 (Tyalgum Hall). 20 May 2012: at The Tulip (National Museum of Australia). Featuring Canberra Festival Camerata. 11 May 2012: at QSO String Quartet (Ian Hanger Recital Hall). Featuring QSO String Quartet. 23 Mar 2011: at Ensemble Liaison (Melbourne Recital Centre, Elisabeth Murdoch Hall). Featuring Ensemble Liaison. 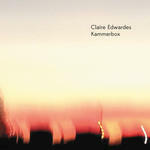 12 May 2010: at Clarity Clarinet Quartet: A revised history of the clarinet (Theatre Husk, Melbourne). Featuring Nicole Canham, Andrew Seymour, Samantha Kelson Gray, Lisa Clarke.